My Court Hearing was founded by Andres Amoedo III, a Florida Licensed Attorney. Our vision, since 2014, has been to create a better and simpler way for people to access the American Judicial System. We believe that quality legal representation is key, not only because it is just, but because it affords everyone the right to personal liberty and happiness. 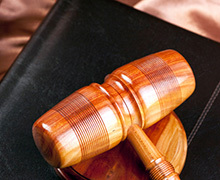 All of our lawyers are licensed, insured and have no history of consumer complaints. Our attorneys have ties to the community and share in the common values of the company. The quality of your representation is guaranteed by our founding member. My Court Hearing it the most innovative and well-known company of its kind. A belief in that honesty is always the best policy and that trust has to be earned. A belief in the Constitution of the United State of America. A commitment to fairness, kindness and the concern of others.